The Octopus is one of the oceans most intelligent creatures. It has been proven to have a large and complex brain making it capeable of learning. Octopus have not one but two hearts. Its highly developed escape and defence mechanism has always facinated me having encountered its ink squirting capabilities as a young child on my first snorkelling experiences in Spain. The Octopus can not only change it's colour but also it's skin texture match it's background when threatened or when lying for prey. Imagine us having the ability to that! 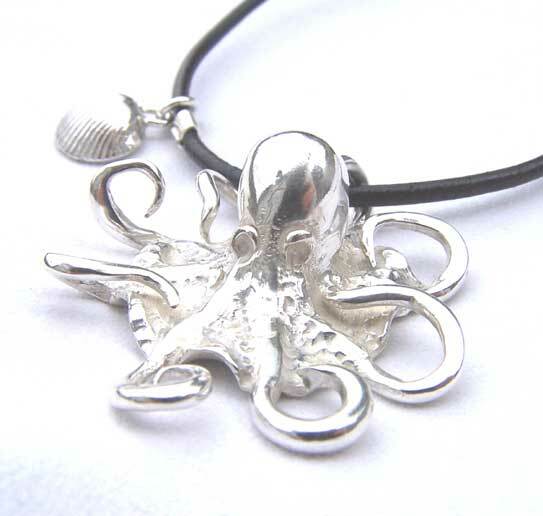 Solid medium sized silver octopus necklace with single cockle shell on leather chord with silver fastenings. Any length available. 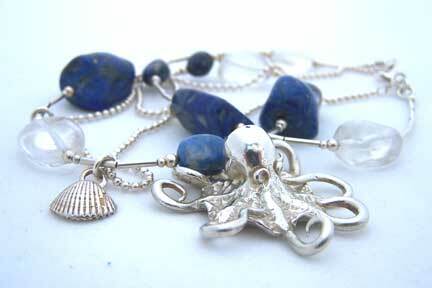 Pa-pa's silver medium sized octopus necklace with Lapis chip beads and silver cockle charm - £295 email length required . 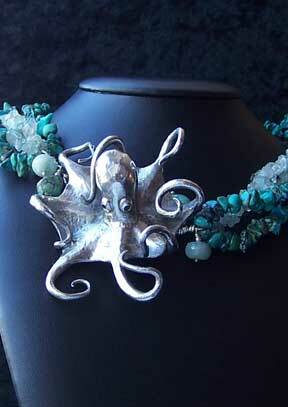 Pa-pa's silver large sized octopus necklace with turquoise chip beads - £1295 email length required . 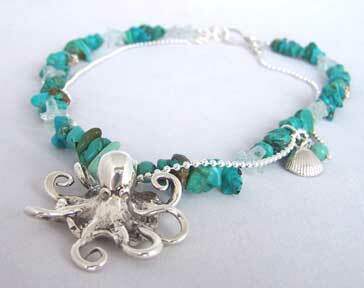 Solid silver medium sized octopus, silver cockle aquamarine and turquoise beaded necklace. 16 or 18 inches in length. Silver large octopus necklace on a bed of grey pearl, aquamarine and feldspath beads with silver mussel, oyster,whelk, cowrie and cockle shells. These Pa-pa octopus designs are made from solid 925 hallmarked silver. Female sacrifice- The female octopus when pregnant , returns to a cave or other safe crevice, where she cleans the roof with her tentacle suckers. For a week or more she lays thousands of eggs which are attached to the roof of the crevice where she caresses them with jets of water with the tips of her tentacles. She will guard her eggs for the rest of her life, dying once the eggs have hatched. 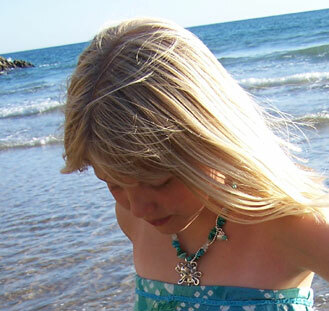 Copyright © Pa-pa Designer Jewellery 2003-2017 Designs registered with the UK Intellectual Property Office, Newport.